After getting his dream fight against Floyd Mayweather Jr. last year in May and promptly losing it badly, former two division world champion Robert “The Ghost” Guerrero (31-2-1, 18 KO’s) reportedly wants out of his contract with Golden Boy Promotions. CEO of Golden Boy Richard Schaefer doesn’t understand why Guerrero would want to leave, as he got him the Mayweather fight, and also got him a fight against Andre Berto. Schaefer recently offered him a fight against unbeaten Keith Thurman last December, but Guerrero turned that fight down for some reason. Guerrero will try to break the contract by going through arbitration with the California State Athletic Commission, according to ESPN. However, the contract was signed in New York, so it’s possible that they will need to hear this instead of the California Commission. Last month, Guerrero mentioned wanting to fight against Manny Pacquiao. Could it be that he feels that his chances of getting that fight would be increased if he were to break the contract with Golden Boy? In realistic terms, a fight against Pacquiao is probably the last chance that Guerrero has to make a really huge payday in his career. Mayweather obviously will never fight Guerrero again after beating him by the scores of 117-111, 117-111, 117-111. Guerrero won’t get really huge money in fighting any of Golden Boy’s other talented fighters like Thurman, Danny Garcia, Amir Khan, Lucas Matthysse, Saul “Canelo” Alvarez, Shawn Porter, Devon Alexander, Adrien Broner or Lamont Peterson. Those would all be good paydays, but not the kind of big money that Guerrero would see in a fight against Pacquiao. And the worst part about Guerrero fighting Golden Boy’s other top fighters is that a lot of them would have a really good chance of beating him. So it’s not a simple thing for Guerrero just to fight a bunch of them to make good paydays for the remainder of his career, because the chances are high that he’ll lose to some of them along the way and that’ll likely cause his paydays to get smaller each time he gets beat. The chances of Guerrero getting a fight against Pacquiao probably isn’t great even if he does leave Golden Boy, but if he were to get that fight he’d made huge money that he won’t see in any of the match-ups Golden Boy has to offer him right now. 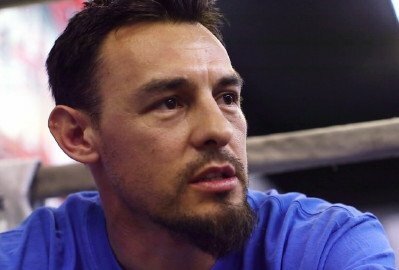 If Guerrero had taken that fight against Thurman, for example, he’d have probably lost to him. Guerrero obviously wants to make good money, but if he stays with Golden Boy he could find himself losing over and over if he says yes to a lot of the guys that they have in their stable. Schaefer went on to say that he’ll continue to offer Guerrero fights for as long as he’s under contract with Golden Boy.